Rothman, a rheumatologist and molecular immunologist, serves now as dean of the Carver College of Medicine at the University of Iowa and leader of that university’s clinical practice plan. He will join Johns Hopkins on July 1, succeeding Edward D. Miller, who will retire after 15 years as both dean and the first CEO of Johns Hopkins Medicine. “Paul Rothman is a visionary leader with a deep and highly sophisticated understanding of the challenges facing health care and academic medicine today,” said Ronald J. Daniels, president of The Johns Hopkins University. Daniels recommended Rothman’s appointment to the trustee boards of the university, Johns Hopkins Medicine and the Johns Hopkins Health System. “Instead of being daunted by those challenges, he sees them as opportunities to do better, to serve our patients in ways that improve clinical outcomes while also improving our employment of scarce health care resources and enhancing the education of the next generation of physicians and researchers,” Daniels said. As dean, Rothman will lead a School of Medicine with more than 2,500 full-time faculty members, nearly 1,300 part-time faculty, more than 1,400 medical and graduate students, and more federal research support than any other U.S. medical school. As CEO, he also will govern – in partnership with Ronald R. Peterson, executive vice president of JHM and president of the Johns Hopkins Hospital and Health System – a system of six hospitals in Maryland; Washington, D.C.; and Florida. Johns Hopkins Medicine also comprises several suburban health care and surgery centers; more than 30 outpatient primary health care sites; a full-service home care provider; managed care plans; and hospital management, consulting and clinical education services in the Americas, Europe, the Middle East and Asia. Together, the components of Johns Hopkins Medicine – the School of Medicine and the Johns Hopkins Health System – employ more than 34,000 full-time faculty and staff. “Johns Hopkins is the best medical center in the world, and the opportunity to help lead that medical center, along with Ron Peterson, is just my dream job,” Rothman said. “I’m thrilled, humbled and honored to have been chosen. “Johns Hopkins leads the world in research and discovery, and in innovations in teaching and in the delivery of health care,” he said. “It’s the leader because of the outstanding faculty, students and staff who work there. It has recruited the best and brightest from around the world for years and continues to do so. There’s a culture of collaboration and a culture of excellence in everything they do. Rothman became dean at the University of Iowa in 2008, and since then has recruited new leadership for nine departments, stabilized the medical college’s finances despite cuts in state support, begun an overhaul of the medical curriculum and opened a branch campus in Des Moines. He also has helped to establish a strategic new administrative structure for University of Iowa Healthcare, developed interdisciplinary research programs and solidified the clinical practice plan. “Dr. 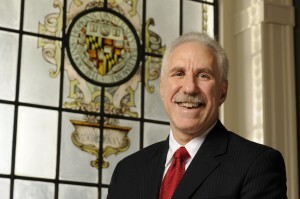 Rothman possesses the experience, imagination, energy and temperament that make him ideally suited to lead Johns Hopkins Medicine in a time of great change and great opportunity,” added search co-chair Francis B. “Frank” Burch, chair of the Johns Hopkins Medicine board of trustees. Rothman joined the University of Iowa in 2004 as head of internal medicine, substantially growing the department’s reserves while recruiting new divisional leaders, increasing the faculty to a record 230, adding clinical programs, initiating programs in diversity and mentoring for young faculty members, and overseeing the launches of an interdepartmental heart and vascular center and an organ transplant center. Before leaving for Iowa, Rothman rose from instructor to vice chairman for research in the Department of Medicine at the Columbia University College of Physicians and Surgeons. During his tenure at Columbia, from 1986 to 2004, he also was the founding chief of its Division of Pulmonary, Allergy and Critical Care Medicine, building new clinical programs, growing the faculty from 12 to 40 and increasing clinical revenues and research funding 15-fold in six years. Search committee member Myron “Mike” Weisfeldt, the William Osler Professor and director of the Department of Medicine at Johns Hopkins, was chair of medicine at Columbia early in Rothman’s tenure there and was impressed with his work as a physician, researcher and educator. Weisfeldt appointed Rothman to his divisional leadership post at Columbia and later nominated him for the department chairmanship at Iowa. As a researcher at Columbia, Rothman began investigating the signaling pathways required for allergic immune responses and cancer, a focus he has maintained while at Iowa. “Paul is an outstanding basic scientist. He is as rooted in basic science as he is in clinical medicine,” said search committee member Carol Greider, the Daniel Nathans Professor and director of the Department of Molecular Biology and Genetics at Johns Hopkins and a winner of the Nobel Prize in medicine in 2009. “Paul’s work in the late ’80s laid a foundation for our understanding of cell-to-cell communication in the immune system and its role in allergic diseases,” Greider said. Rothman is an elected member or fellow of the American Association for the Advancement of Science, the Council of the Association of American Physicians, the American College of Physicians, the American Society for Clinical Investigation and the Collegium Internationale Allergologicum. He is a 1980 Phi Beta Kappa graduate of the Massachusetts Institute of Technology and earned his medical degree from Yale University in 1984, going on to train at Columbia-Presbyterian Medical Center and to accept a postdoctoral fellowship at Columbia University. Rothman, 53, is married to physician Frances Jane Meyer, a clinical gastroenterologist on the faculty of the Carver College of Medicine since 2005. She also trained at Columbia-Presbyterian and later also served as a faculty member at Columbia University. They have three children: Alissa, 18, a freshman at Amherst College; Daniel, 17, a senior in high school; and Eric, 13, an eighth-grade student.